Brand name Felix Brasseur Bits and many other Horse Tack Products are on sale now in our online horse tack store. All of our Felix Brasseur Low Port with Copper Cherry Roller Driving Bits are made with superior quality materials. Thia Driving Bit is one of the most popular bits. This item is made of copper which creates salivation for the horse. At HorseTackNow we only offer the best horse copper driving bits and horse tack available at discount prices. 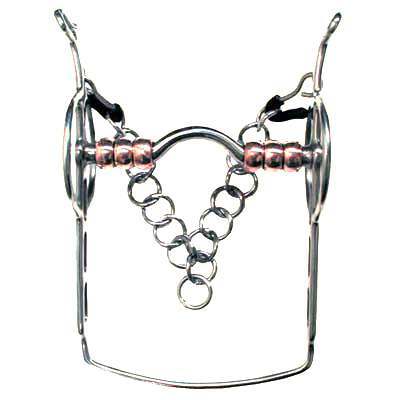 This Felix Brasseur Horse Bit is made with an elegant yet very modern style design.